The judge’s record shows he would help dismantle Roe v. Wade, and Sen. Susan Collins should vote no. Anyone who refuses to respect precedent and women’s bodily autonomy is far less than what the American people deserve. President Donald Trump has been clear that he is out to overturn Roe v. Wade, the Supreme Court decision that has protected women’s right to safe and legal abortion for more than 40 years. Should Kavanaugh be confirmed, Trump will achieve his goal. 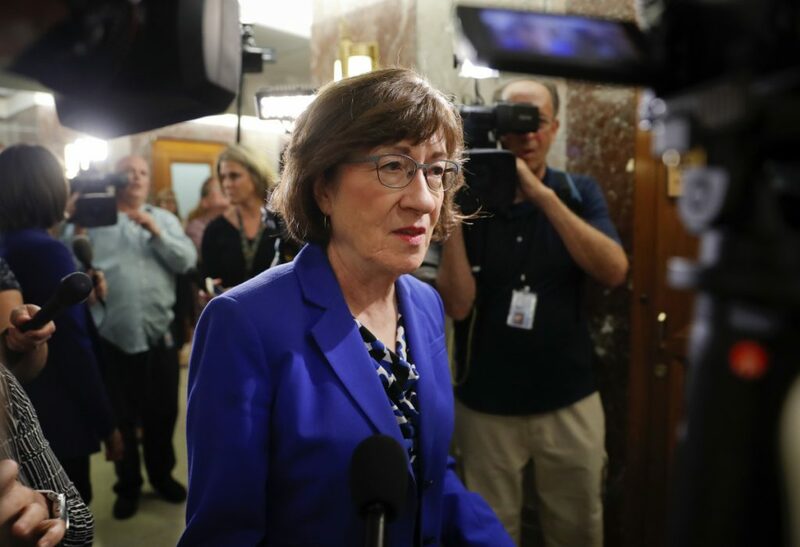 Although Sen. Susan Collins has stated that she did not see hostility to Roe from Judge Kavanaugh, her belief is obviously contradicted by Kavanaugh’s record. Simply look to the case of Garza v. Hargan. An undocumented 17-year-old girl identified as Jane Doe who had been arrested and placed in a Texas detention center discovered she was pregnant eight months after her arrest. When she decided to terminate her pregnancy, the Trump administration barred her from leaving the detention center for her medical appointment. Enter Judge Kavanaugh, one of the three judges on the Circuit Court panel. The precedent set by Roe and its progeny are clear: The government cannot place an undue burden on a woman’s constitutional right to terminate a pregnancy. Yet Judge Kavanaugh held that the government could force Doe to continue her pregnancy for multiple weeks until it identified an immigration sponsor. Kavanaugh was aware that a state court had already ratified Jane Doe’s ability to make decisions about her body, even in the absence of approval from a parent or sponsor. He knew that, if the procedure were delayed, either Jane Doe’s pregnancy could advance to the point that her abortion would be illegal, or she could be dissuaded by government-created obstacles. Perhaps Kavanaugh has not said outright that he wants to overturn Roe, but does he have to? His lack of respect for the precedent is clear: If a nine-week delay for accessing abortion does not constitute an “undue burden,” it is unclear what would. As a college student, I have grown up with Roe v. Wade as the law of the land. Although the precedent has been in effect for decades, state-level restrictions on reproductive rights have prevented our nation from realizing Roe’s promise. I still deal with internalized shame and the effects of receiving only limited education on sexual and reproductive rights. The stigma associated with sexual health manifests in debilitating anxiety over routine tests for sexually transmitted infections, long overdue OB/GYN appointments, and confusion over whether my health insurance will cover a birth control method that does not result in depression, extreme weight gain, or anxiety. Our country’s history of eugenics means that historically for women of color, reproductive justice might look like the very ability to be pregnant. This administration has made itself clear on numerous occasions that it does not care about the marginalized or the vulnerable, and Kavanaugh would be no exception. Like millions of other students, I hope to start my career, fall in and out of love, and create a life for myself. My future will be a time, I imagine, of great adventure — great love and great loss, great triumph and great failure. There will be plenty of parts of this adventure that I will have no control over. I hope whether or not I become a mother is not one of them. It is unthinkable that Collins would ally herself with Trump and place my rights, and the rights of other Mainers, on the chopping block. Sen. Collins, if you care about the futures of young people in Maine, you must vote “no” on Kavanaugh. If he ascends to the Supreme Court, he will dismantle the already limited protections that Roe affords and threaten the safety and well-being of millions of Americans like me. You were elected to represent the people. Listen to us when we say we won’t go back.